It's okay. You don't have to feel ashamed about it. Sometimes, you stare into the mirror, cursing your rugged human good looks, don't you? It wasn't supposed to be that way, but you turned into an excellent human specimen. You had dreams and aspirations when you were younger! In the second grade, you proudly proclaimed that you were going to become a dinosaur when you grew up. You were going to stomp through the city, snarling and roaring as you smooshed buildings with your feet. People were going to scurry away from you in fear as you wreaked complete and utter havoc across the land. Then, of course, you got older and more handsome. It soon became clear that you would never be scary enough to become a Tyrannosaurus Rex, but deep down... you still long for the chance to be more like a dinosaur. The answer to your troubles is here! This Tyrannosaur Jawesome Hat instantly turns your very human-looking face into that of a ferocious dinosaur from the late Cretaceous period. 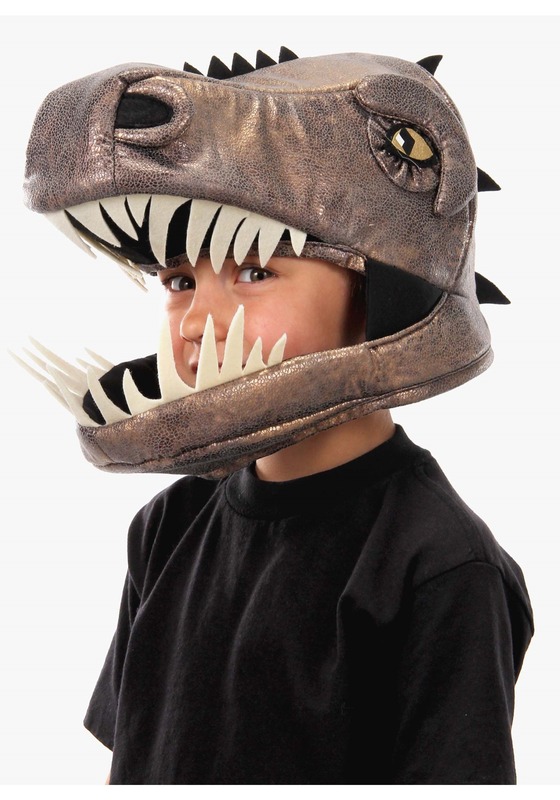 The hat is designed to fit like a mask and has plenty of terrifying details to love. The spikes along the top and back give it a savage look and the jagged teeth in the mouth help give it a truly Triassic style. It also has a pair of beady merciless eyes that you can use to intimidate your prey during the next hunt! It's true. 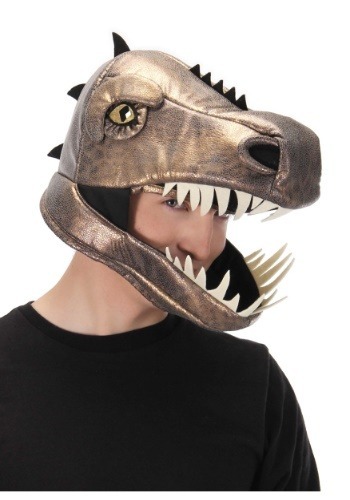 This mask might not actually turn you into a towering thunder lizard, but it does make your face look more like that of a dinosaur. That will at least bring you one step closer to attaining your childhood dream of becoming a T-Rex.